N$ 650.00 per person 2019 .Book Online now. Join us on an extraordinary exploration of the coastal dune belt just outside Swakopmund. To the untrained eye the dunes are just a pile of sand, however our skilled and experienced guides will introduce you to a wealth of life. 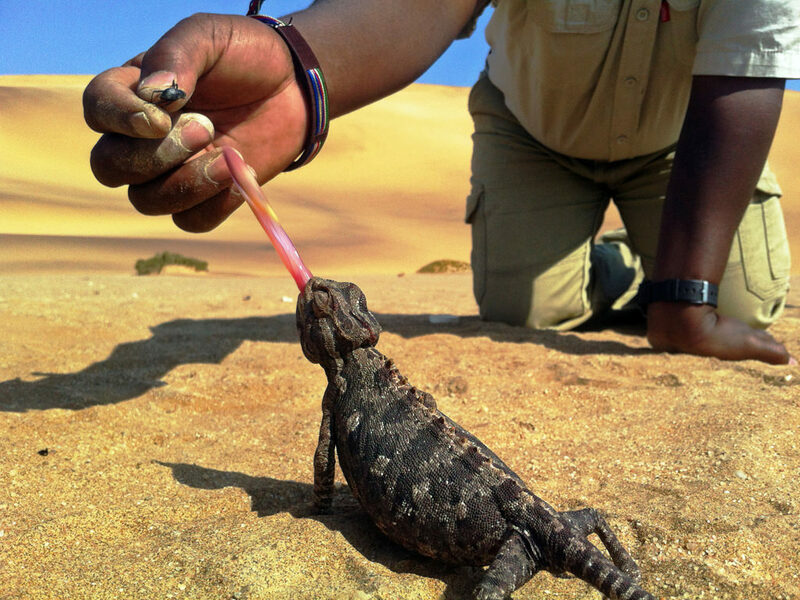 Track Palmato geckos, sanddiving lizards, the famous fog-basking Tok-Tokkie beetle, sidewinder snakes, spiders, scorpions and chameleons. This 3 hour exploration will be rounded off with a short dune drive. This tours departs with a minimum of 2 adult guests. N$ 1800.00 per person 2019 .Book Online now. A wonderfully tranquil addition to the morning's exploration in the dunes, is a delicious Crayfish Lunch right on the beach. 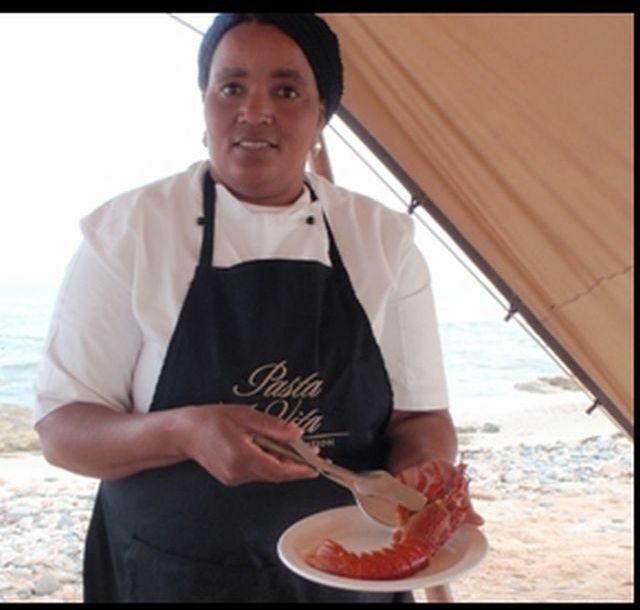 Set up in a bedouin tent for shelter and shade, we serve a glass of sparkling wine and a delicious lunch with crayfish (West Coast lobster). We require a minimum of 4 guests in order to be able to offer the lunch. This combo tour departs with a minimum of 4 adult guests. N$ 1 300.00 per person 2019 .Book Online now. An enlightening journey takes you through the ancient canyons of the Moon Valley, one of the most fascinating areas of the Namib Desert. Let us take you back millions of years to when these badlands were formed. Learn the intrinsic value of the desert flora to the indigenous people who once roamed Southern Africa. 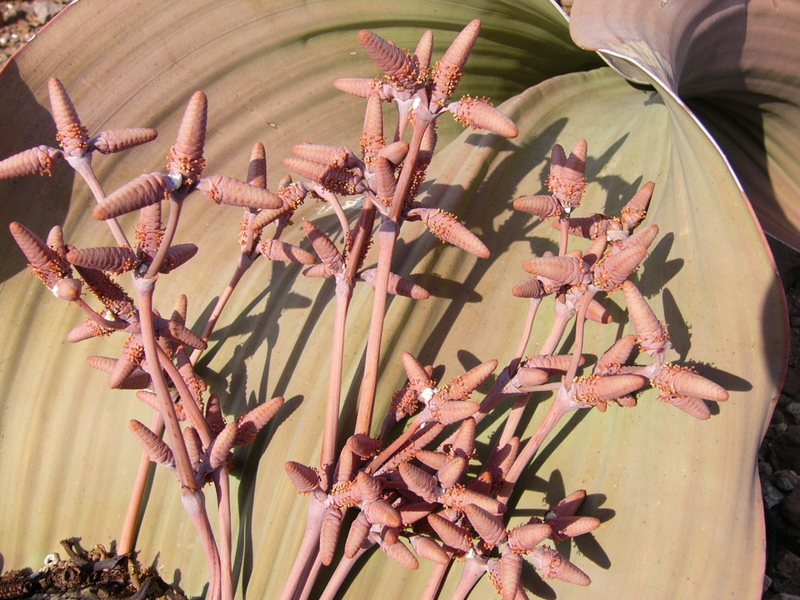 Discover the medicinal and nutritional use of desert adapted flora, and delve into the secrets of the Welwitschia mirabilis. We learn about the desert adapted flora and fauna and how they survive under these harsh conditions by unfolding their many hidden secrets. This informative tour also looks into what we call “the future of the Central Namib”, as we inform our guests about planned future industrial activities as well as existing ones in the area, due to the growth of uranium mining and other related industry. This spectacular area is also home to some wildlife, and we might just spot springbok, ostrich, klipspringer, Swallow-tailed Bee-eater, Karoo Chat and others. Smaller creatures, such as chameleons and beetles call this home too. 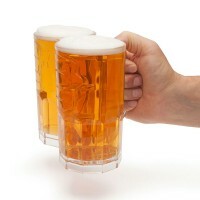 For lunch we will stop at a shady spot to recharge body and spirit with a tasty lunch and some cold refreshments. This is a great time to discuss and share the morning’s discoveries before we continue along the Swakop River to Goanikontes, an “oasis” that played an important role during the colonial times. Before we return to Swakopmund, we stop at the sand dunes to round off an informative and great day in the oldest desert in the world. This tours departs with a minimum of 4 adult guests. N$ 730.00 per person 2019 .Book Online now. This enlightening journey takes you through the ancient canyons of the Moon Valley, one of the most fascinating areas of the Namib Desert. Let us take you back millions of years to when these badlands were formed. Learn the intrinsic value of the desert flora to the indigenous people who once roamed Southern Africa. Discover the medicinal and nutritional use of desert adapted flora, and delve into the secrets of the Welwitschia mirabilis. We learn about the desert adapted flora and fauna and how they survive under these harsh conditions by unfolding their many hidden secrets.This informative tour also looks into what we call “the future of the Central Namib”, as we inform our guests about planned future industrial activities as well as existing ones in the area, due to the growth of uranium mining and other related industry. This spectacular area is also home to some wildlife, and we might just spot springbok, ostrich, klipspringer, Swallow-tailed Bee-eater, Karoo Chat and others. 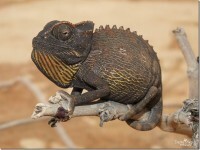 Smaller creatures, such as chameleons and beetles call this their home too. Many of our guests choose to do the "Living Dunes Experience" in the morning, come back to town for a leisurely lunch at own cost, and then join the "Welwitschia Tour" in the afternoon. This option offers the chance of seeing and experiencing the dunes, the vast open gravel plains and the spectacular Moon Landscape. The morning explores the little creatures, while the afternoon offers an exploration of the botanical side of the desert. The Sand & Rock Tour is simply a combination of two tours, but at a slighltly better price. N$ 2450.00 per person 2019 .Book Online now. A wonderfully tranquil addition after the morning's exploration in the dunes, is a delicious Crayfish Lunch right on the beach. Set up in a bedouin tent for shelter and shade, we serve a glass of sparkling wine and a delicious lunch with crayfish (West Coast lobster). N$ 750.00 per person 2019 .Book Online now. N$ 320.00 per person 2019 .Book Online now. We take a short journey through time. We start with an exploration of Swakopmund’s colourful history, its origins and its well maintained buildings from the colonial era. We venture into modern day Swakopmund to find out just what Swakopmund is to the local people from all groups of our society. We drive along luxury beachfront homes and travel into the townships looking at property prices, income statistics and living standards. At the end of this 1.5 hour long tour, we take a glance into the future to see how Swakopmund may develop. Swakopmund yesterday, today and tomorrow. From the Orange River in the south to the Kunene in the north, the coastline of Namibia ranges 1570 kilometres. The lagoon of Sandwich Harbour lies like a jewel between the dunes and the Atlantic Ocean. After a short visit to Walvis Bay we drive south, passing the colourful evaporation fields of the salt works, and enjoy an adventurous drive through the majestic dunes and along the sea. The last kilometres to Sandwich Harbour can only be managed at low water level by a very experienced driver. Plenty of fish attract lake and land birds since the pent-up ground water provides lots of plants to protect their offspring. We enjoy a lovely picnic in an unspoiled environment with terrific scenes and landscapes as a background. Sand covered ruins from colonial times where guano was harvested and transported back to Walvis Bay can still be seen. Sandwich Harbour is a paradise for ornithologists and photographers from all over the world. Our way back leads us through the large Kuiseb Delta, also home to many bird species, jackal, brown hyaena, springbuck and many more. This tour is truly a great outing. After a short visit to Walvis Bay we drive south, passing the colourful evaporation fields of the salt works and enjoy an adventurous drive through the majestic dunes and along the sea. The last kilometres to Sandwich Harbour can only be managed at low water level by a very experienced driver. Plenty of fish attract lake and land birds since the pent-up ground water provides lots of plants to protect their offspring. We enjoy a lovely picnic in an unspoiled environment with terrific scenes and landscapes as a background. Sand covered ruins from colonial times where guano was harvested and transported back to Walvis Bay can still be seen. Sandwich Harbour is a paradise for ornithologists and photographers from all over the world. Our way back leads us through the large Kuiseb Delta, also home to many bird species, jackal, brown hyaena, springbuck and many more. This tour is truly a great outing. 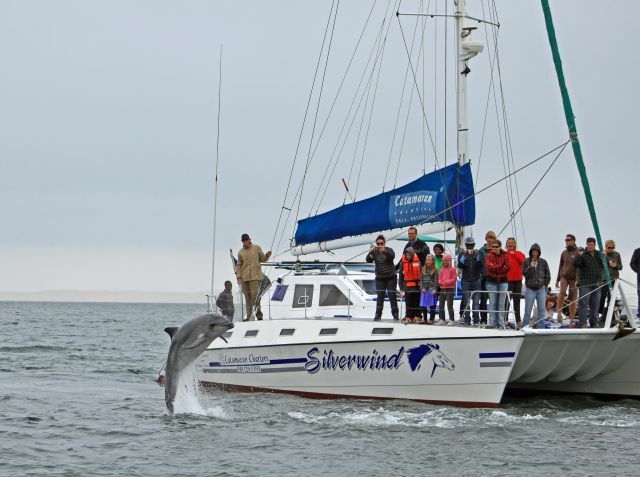 Full day tours starting in Walvis Bay-departure is at 10h00 from the Walvis Bay Waterfront. Various operators offer a variety of trips to enjoy Namibia from the sky. Most of them use 6-seater Cessna 210 aircraft. 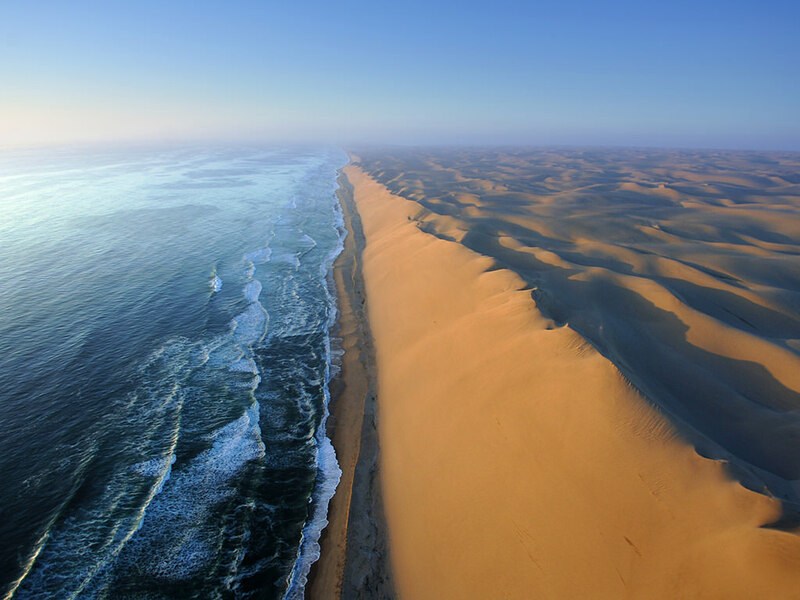 Flight options include: the Sossusvlei Scenic Flight, Namib Desert Scenic, Skeleton Coast Scenic, Sossusvlei Excursion and the Cape Cross Scenic. Price will depend on the number of people on board. N$ 850.00 per person 2019 .Book Online now. This is a fun-filled mornings only activity. The boat departs from Walvis Bay Waterfront and cruises past the oyster farms and fishing trawlers in the bay, towards the seal colony at Pelican Point. The cruise returns via Bird Island. A variety of birds such as pelicans, flamingos, cormorant and many more can be seen. Enjoy the antics of feeding the seals and pelicans on board. You will more than likely catch a glimpse of playful dolphins as well as a possible whale or sunfish (Mola Mola). Fresh oysters, sparkling wine and snacks are served before returning to the harbour around midday. This is a fun-filled and active day out. Offering the best of two worlds, this combo package consists of a morning Dolphin & Seal Cruise, and a half day Sandwich Harbour tour by 4x4. A popular combo that highlights the contrast of the desert and its spectacular dunes right next to the ocean. Experience dolphins swimming alongside the catamaran, seals being fed aboard, sunfish sharing the secrets of the depths and shy leatherback turtles surfacing. In season we also have the humpback whales, southern right whales and the orcas breaching about. With the Walvis Bay Lagoon being a RAMSAR site, the bay has an abundance of bird life, with our white pelicans being a must see! N$ 800.00 per person 2019 .Book Online now. The Pelican Point Kayaking tour starts at 7h45 at the Waterfront in Walvis Bay. 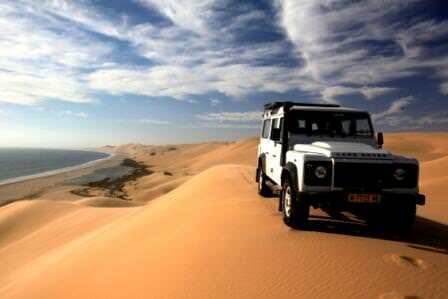 We will take you in a 4x4 vehicle on a scenic drive along the Walvis Bay Lagoon and the salt mines to Pelican Point. We stop along the way to take pictures of our countless flamingos, pelicans, large flocks of cormorants and great variety of other birds and wildlife. After app. one hour we reach Pelican Point where we will get our kayaks ready for paddling. Pelican Point is home to up to 50 000 Cape Fur seals all year round. They are very friendly and playful and not scared of our kayaks, even when we paddle right next to them. The seals are inquisitive and often come within touching distance of our kayaks. We stay on the protected side of the peninsula. We spend around 2 hours on the ocean, depending on general weather conditions. Our guide will use a waterproof camera for some photos which we email to you immediately after the tour. After kayaking, we recharge during breakfast with some fresh rolls and coffee and tea, before we head back to Walvis Bay. Return time is between 12h00 and 12h30. N$ 2 440.00 per person 2019 .Book Online now. The Kayak Combo is the combination of the Pelican Point Kayaking tour, a delicious lunch on the beach or in the dunes, and a 4x4 ride in the breathtaking Sandwich Harbour area of the Namib Naukluft Park. N$ 685.00per person 2019 .Book Online now. On our intertidal drive your guide will unfold an ecosystem of unique tidal pools, abundant bird life and interesting history. 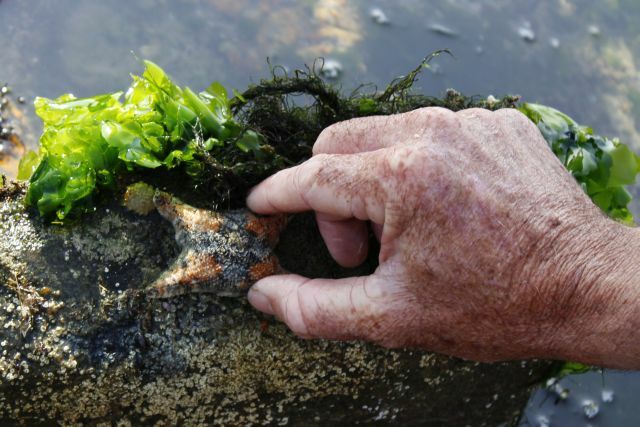 In and around the rock-pools you will find molluscs, anemones, seaweeds and crustaceans. Interacting and co-existing in the intertidal area of our coast we have plentiful bird life and a co-dependency is evident. Furthermore some remnants of the shipwrecks Kolmanskop and Patrysberg will be pointed out to you. N$ 380.00 per person 2019 .Book Online now. 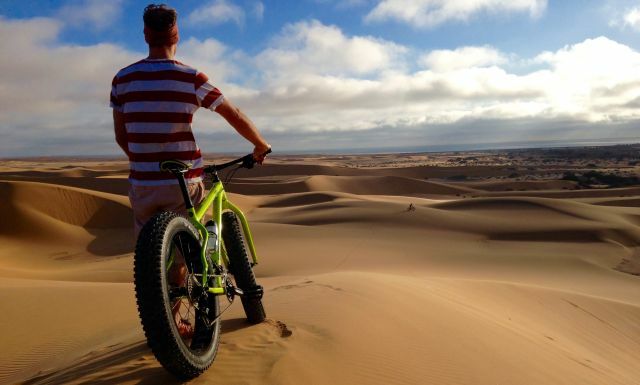 Feel the fresh coastal air, take in the silence and breathtaking scenery of the oldest desert in the world while enjoying the thrill of cycling up and down Namibia's famous dunes. Guaranteed to excite and offer an unforgetable and unique cycling experience. From N$ 450.00 per person 2019 . Book Online now. We offer quadbiking not as an extreme sport, but as a fun way to get into the dunes. These guided trips are designed for people without any prior experience of quadbiking. We offer 1 hour and 2 hour trips all day long. 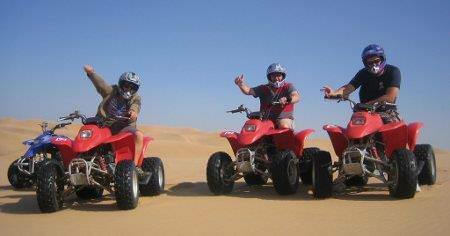 A 3 hour combo trip which includes 2 hours of quadbiking and one hour of lie-down sandboarding is also available. After a safety briefing, the tour starts off easy to get used to the bikes before we start with an exhilarating passage through the dunes towards the inland. The wild beauty of the dune belt is captured in the 2 hour trip on our way to the "Sunset Dune". The stunning view over the Atlantic Ocean offers spectacular photo opportunities. 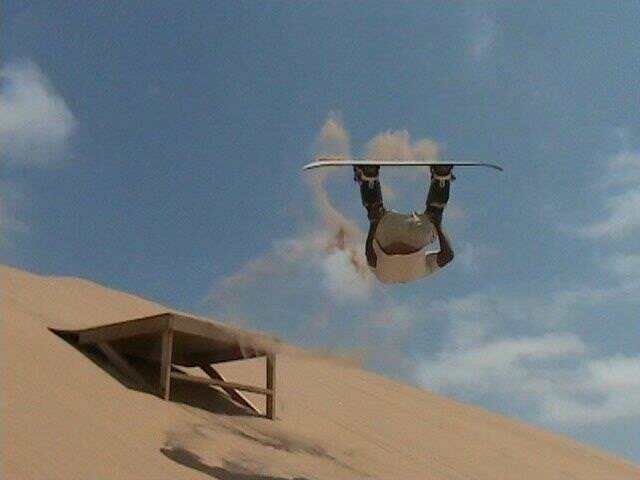 Stand-up and Lie-Down sand boarding have grown in popularity over the years. We provide all necessary equipment and instructions. Despite the fact that there are no ski lifts in the dunes, sandbording is great fun for everyone where speeds of up to 8km/h can be reached. There are two options to choose from, the traditional lie-down boarding is the easy option, or the stand-up boarding which uses snowboards. Full day or half day fishing tours from the beach or the boat include transfers, lunch, drinks, equipment and permits. Good catches can be expected all year round. The following species can be caught: kabeljou, steenbras, barbel, galjoen, garrick and various sharks. Experienced skippers and guides assist on board or on the beach. It is essential to bring along your passport for the required fishing permit, best is to send us a copy of your passport upon booking. Pick-up time daily after the fog has lifted. Before take-off a tandem master will give you a full safety briefing. Once in the plane, you will enjoy a 30 minute scenic flight. When the plane reaches 10 000 feet, you experience a 30-35 seconds free-fall at 220 km/h before the parachute is deployed. Another 5-8 minutes' glide follows whilst descending to a tiptoe landing at departure point. Videos and photos are optional extras.